As you are driving to visit you parents or simply as you are on your way to an important meeting your car suddenly starts to make funny noises and smoke starts to come out from under your car’s hood. This surely can not mean any good news. The implications immediately start running through your head. Besides running late and having to decide which garage is best to go to, you already start to crunch the numbers – how much will it cost to fix it, not to mention the expensive towing service. 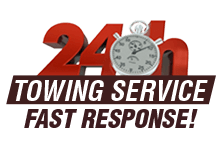 Towing San Diego is here to ease that unpleasant experience by offering quality, but not expensive, towing service that will save you at least one thing to worry about! Call us now at (858) 457-8530 for any towing service you might need without requiring a bank loan to get things done. It is a common assumption that it is best to spend your hard earned money on quality products or services, and that if you are offered that same product or service for a cheap price, there must be something wrong with it. However, it is important to remember that as the famous saying goes: ‘All that glitters is not gold’ and it may be a case of overbilling a basic commodity. 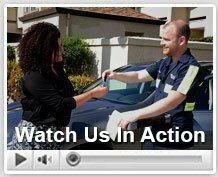 That is why we at Towing San Diego maintain an honest and cheap pricing policy while ensuring a high level of service for our San Diego community. Giving more for less is our way to give back to our community. We are aware that our service may be needed even in the middle of the night. We would not leave you hanging. We operate an emergency service around the clock all year long! If you are in need we will respond and arrive in 30 minutes or less. We are committed to providing a professional and personal care by a well-trained and friendly team and all, as mentioned, at fair prices! That is why choosing us means you will get more for less.